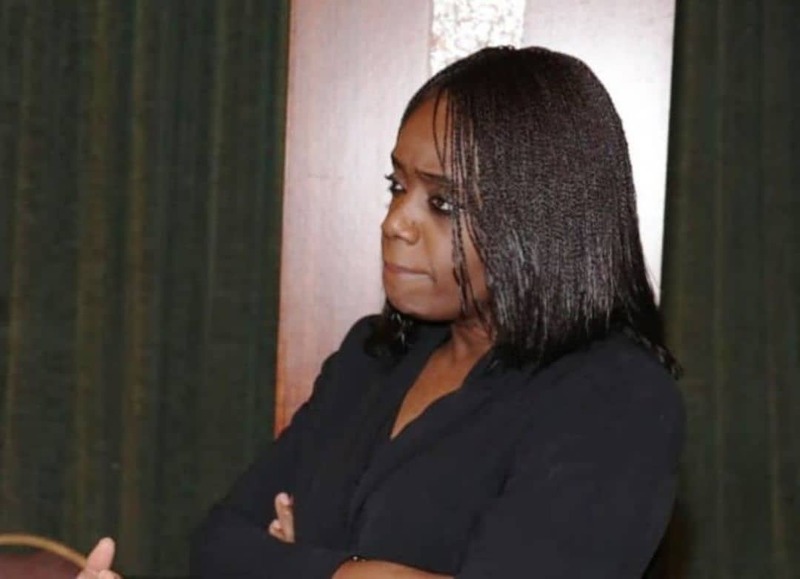 The story out there has been that Nigeria’s finance minister, Mrs. Kemi Adeosun, forged her National Youth Service Corps (NYSC) discharge certificate. When the news broke, she tried her hands on some subterfuge. She indulged in grandstanding. She ignored the damning report, treating it as if it never was. Rather than speak up, she engaged some hirelings to cover up her mess. They defended her to no end. They explained away the issue. They said she was not guilty as charged. They painted those digging into the story as mischief-makers who wanted to pull down a woman of substance. Those who were making a case for her are typical Nigerians. They wanted the story to follow the usual Nigerian trajectory. Our stories have no pattern. They do not endure. It is usually a case of here today, gone tomorrow. Being well aware of our Nigerianness, the Kemi Adeosun defenders wanted us to forget. They wanted the story to blow over. They are not entirely wrong. Anybody who knows the way we are as a people will certainly agree with me that we will not go anywhere with this story. We will soon abandon it. We will soon treat it as if it never happened. And the person at the centre of the controversy will go home unscathed. She will end up laughing at our folly. She will, inwardly, jibe at our unseriousness as a people. But before we get to that pitiable point, let us bring the issue home. After weeks of studied silence, there is a defence. A statement on this goes like this: she started off by letting us know that she is a stranger on these shores. Born and bred in London, she returned to Nigeria at the turn of the century and was confronted with the need to obtain a certificate of participation or exemption from the NYSC in accordance with the Nigerian labour laws. Not knowing how to go about it, she relied on third parties to do it for her. They obtained an NYSC exemption certificate for her. Now, she has said that she is shocked and embarrassed by the discovery that she is holding a forged document. That is what minister Adeosun has had to say. That is her defence. But this story is riddled with gaps and hang-ups. It is a well known fact that white society, particularly the British, is a very meticulous one. Their system is almost water-tight. They always insist on propriety. Things must be done in certain prescribed ways. Once there is an infraction, the law must definitely take its course. Their society is not like ours where anything goes; where systems are compromised and where laws are freely broken. The British society is an organised one and those who are nurtured by the system necessarily imbibe those values that place the British society on a higher plane and pedestal than the rest. That is why those who have the privilege of that foreign exposure always recoil in anguish whenever they are confronted with opposite values. They find Nigeria particularly shocking and laughable. They do not understand why Nigeria has no abiding standards, why the abhorrent is ignored or condoned and why the system is systematically beaten and circumvented. Adeosun, the British-Nigerian whose speech is full of affectation, ought to be a good ambassador of what the British society represents. But her actions and inactions here do not bear her training and exposure out. If Adeosun were what she ought to be, she would not have relied on a third party to carry out an official business on her behalf. She would have known that the right thing to do is to approach the NYSC herself and find out the right steps to take in obtaining an exemption certificate, if she qualified for one. Would the tongue-twister of a minister have taken such underhand step if she were in Britain? Certainly not. Rather than be a good example of what the British society teaches and preaches, Adeosun preferred self-help. What minister Adeosun has come up with is an afterthought. She did not have a response to the infraction. Those who were defending her could not lead us by the nose. They ran into a blind alley. Adeosun had to make desperate moves to wriggle out of the mess. That is what has taken her to where she is now. But the minister has continued to prove at every point that her British training did not sink. She learnt nothing and she imbibed nothing. She is asking Nigerians and the government she serves to forgive the misdemeanor. She has said that she is prepared to do anything whatsoever to remedy the situation. That is where her British background should come in again. Where Adeosun is coming from, the most immediate response will be for the offender to resign honourably. Once Adeosun’s mistake became public knowledge, the next line of action for her was to quit her job and apologise to Nigerians. That way, we could connect with her story. Rather than do that, she chose to play the ostrich. When she could not find a place to hide, she concocted the lame excuse, which does not, in any way, free her from any wrong-doing. Adeosun, by her action, has not acquitted herself responsibly. She has not given a good account of her British training. And she has not, by British or Nigerian standards, proven that she deserves the high office she is occupying. The honourable thing for her to do in this circumstance is to resign because she got to where she is by false pretence. If she fails to do that, she should then be shown the way out by the President. That is where we are. Adeosun, from all indications, is not contemplating resignation. She wants to stay put in office because that is the way we do it in Nigeria. Here, offences do not count. What matters is who is behind you. The minister is fully aware of this. She knows that ours is a lawless country; a society where sin can afford to be heady and arrogant. Minister Kemi certainly prefers the aberration that is Nigeria to the order and propriety that is Britain. That is why I insist that she has learnt nothing and imbibed nothing from Britain. Given the disposition of the minister in this matter, the Presidency should step in. By now, Mr. President should be embarrassed by Adeosun’s confession. She has not just embarrassed herself and the country that brought her up, she has also embarrassed the government she serves. Interestingly, the government of the day says it is keen on fighting corruption. One of its own, Kemi Adeosun, has run foul of what it stands for. The Presidency, therefore, has a moral obligation to hold her to account. If it fails to do so, it would have succeeded in reinforcing the impression among many Nigerians that the fight against corruption is selective. Acquiescence by government will also lend credence to the feeling that the anti-corruption war is mere pretence and a well-worn political tool to witch-hunt enemies of government, real or imagined. Over to you, Mr. President. A lot depends on Adeosun’s employer. Because of our rotten system she might have been prevailed to sit it out and let the wind blow over. The government in power has a track record of keeping mum on serving officers that are reeking of offensive odour of corruption and only acts in some cases belatedly as if compelled to stand up to defend integrity and corruption mien they profess to an unconvinced public. The Adeosun’s case is not going to be any different. She is enjoying illusive immunity of state power that rides on impunity and pretense at fighting corruption. We live in a world of make believe in Nigeria where you are told to believe the gospel and not the purveyors way of life. We live in a country where election is conducted in a war theatre with multitude of armed forces while rampaging terrorists are fought with requested or rented prayers in the face of helpless government. Let the music play on and the dance continue.